For keeping coins, keys, and more stylishly stored at your side, choose the Soft Suede Belt Bag. 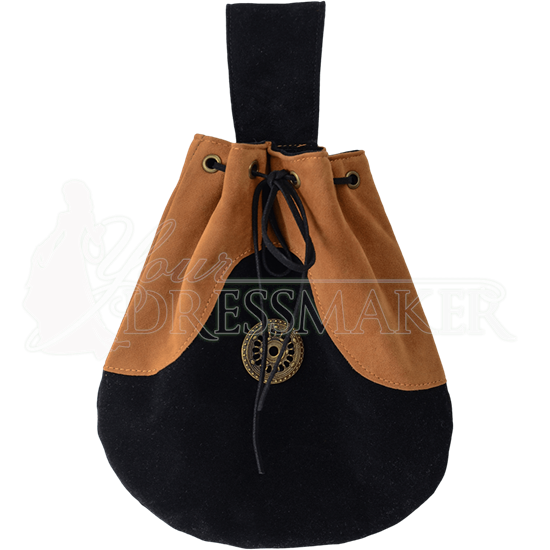 Made of high quality fabric with the texture of soft suede, this round medieval pouch is closed by self-tie leather lacing through brass grommets at the top. Choose from a range of colors for the upper portion of this faux suede belt bag. The black lower half of the bag is accented with an antique brass button for an extra touch of detail. At the top of the bag is a black belt loop for easily sliding it onto your belt. 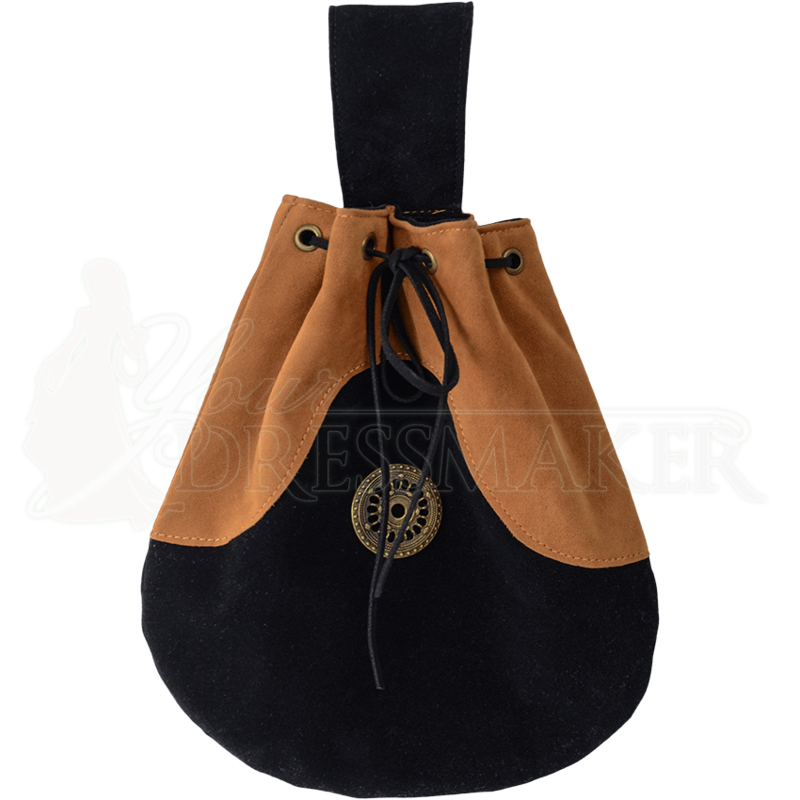 Whether attending a Renaissance fair, LARP event, or other medieval occasion, keep your small essentials secure in this soft and stylish belt pouch.